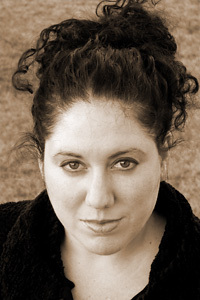 Erika Meitner is the author of Inventory at the All-Night Drugstore (Anhinga Press, 2003), winner of the 2002 Anhinga Prize for Poetry. Her poems have appeared in The Southern Review, The American Poetry Review, Shenandoah, Indiana Review, and Alaska Quarterly Review. Meitner earned her MFA from the University of Virginia, where she is also completing her doctorate in religious studies. She is currently an assistant professor in the MFA creative writing program at Virginia Tech.